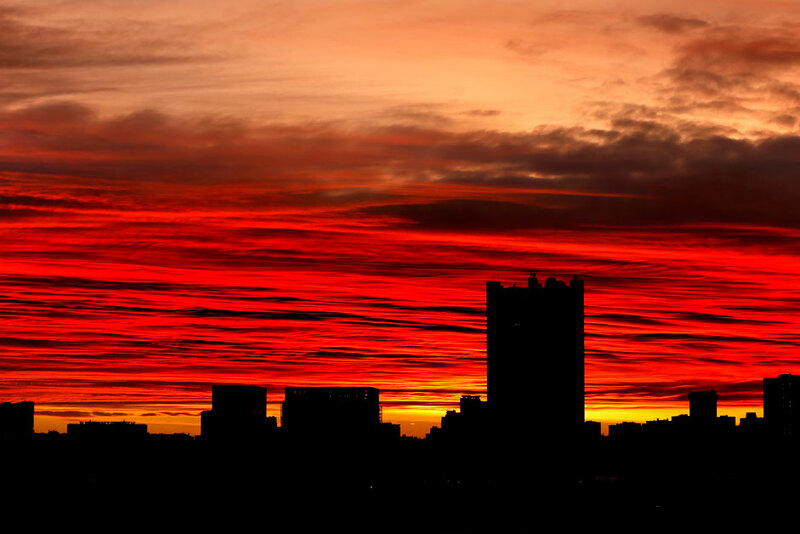 A phase of the sun rising over the Russian capital Moscow, Russia, on 09 December 2015 morning, heralding a bright, partially cloudy day with temperatures around 1 degree Celsius. Moscou, Russie. Lever du soleil sur la capitale russe.